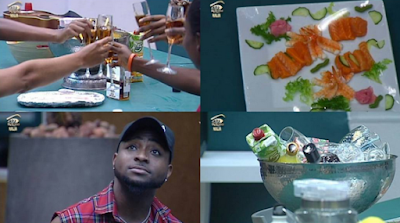 Singer Davido paid a visit to the BBnaija housemates last night and asked them what they would the N25 million prize money. Davido in response to their answers advised them to be careful of the choices they make and not get overwhelmed because they could wake up one day and not realise where it (money) went. He used himself as an example saying he has spent $1 million in one month "You make all these plans and then, when the money comes it's different. I spent $1 Million in 3 months!"